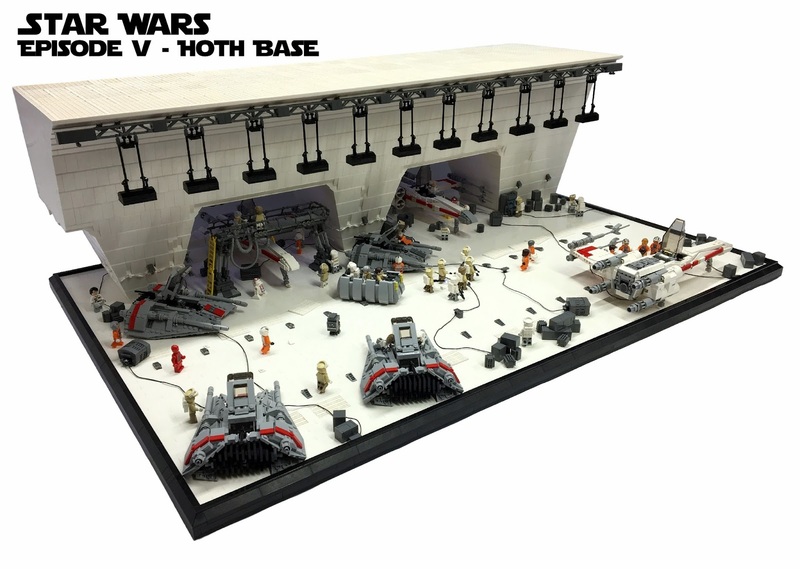 LEGO Star Wars Fan and flickr.com member markus19840420 has recently shared his latest creation of epic scene from Episode V. He created an Echo Base to show his master builder skills which includes huge amount of details in it. He cleverly used regular white slopes upside down and created a perfect hangar-looked design. Tehre is so much perfectly builded snowspeeders and X-Wings lying here. I really want to see this Echo Base with on my own eyes.